Oh, he really got all of that one. Just like his daddy. 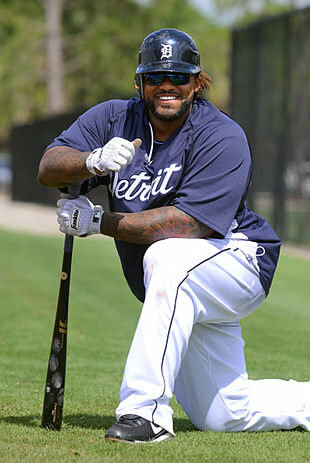 Detroit Tigers slugger Prince Fielder, during a round of batting practice Wednesday, reportedly hit a ball 611 feet — a distance measured by longtime Detroit News scribe Tom Gage. Yes, 611. Starts with a "six." Hey, 611 — isn't that the number you call when your telephone is broken? Talk about dialing long distance. That's Cecil Fielder-sized. And that ball must be misshapen something awful.